Want more attention to your blog? The secret is marketing. It doesn’t matter how great your writing is, no one will ever read it until they find out about it in the first place. Because of that simple fact, marketing is one of the most important aspects of having a blog. Even if you’re already trying, there is always room for improvement when it comes to marketing. 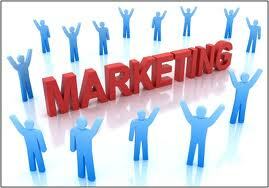 There are multiple avenues to go through to get completely free marketing and advertising, so never pay to do either. One option is called Search Engine Optimization, or SEO. With this option, you are trying to post blogs based off of what people are already searching for when they go onto any particular search engine. Getting good at this will bring a lot more traffic to your site. To be successful at this you need to be able to do 2 major things; having keywords in your posts that are commonly searched, and getting referenced and links in other blogs. Both of these skills come with time and practice. The next option is through social media sites. Almost everybody has a Facebook, Instagram, or Twitter account, so this is a great way to reach a large audience. Getting noticed on social media sites can also up your SEO. Some options are Pinterest, Google+, or anything else that is more focused on your specific niche. Look around at what the people you want to appeal to are using, and get an account! Networking is another big part of the picture. Although this concept may seem daunting, remember that it is easy if you network with people at or close to your current level. If you are constantly trying to get the attention of the biggest players in the industry when you are just starting out, you will never get any real contacts. Find people in a similar position as you, and figure out a way to work together. You can get twice the amount of audience when you have the help of another blogger on your side. Once you have established a relationship with another blogger, do not be selfish. You will lose your contact, and also inhibit yourself from making new ones once word gets out. The more you help, the more people will want to help you. Last but not least on the list of ways to market- media platforms. The most commonly used media platforms are iTunes podcasting or videos on YouTube. These are great ways to get your content out to places where people are already visiting and get them to realize how great your content is and visit your blog more often. Another easy way is getting readers to subscribe to their email addresses so that you can email them when there are blog updates. As you can see, marketing can be extremely cheap and easy once you know how. Always be thinking of other ways to reach new audiences, and your blog will grow. Click here for more tips on getting a more successful blog. Author Bio- Chad Goulde is a blogging extraordinaire from Ohio who has been in the writing and blogging industry for over 20 years. Todd Restrepo Internet Marketing Coach And Mentor. Todd has been working online since 2006 and his expertise in the field of Internet Marketing is shown through the success of his clients. The greatest skill you can learn is how to Market Online Effectively and with a 100% success rate his coaching skills go unmatched.